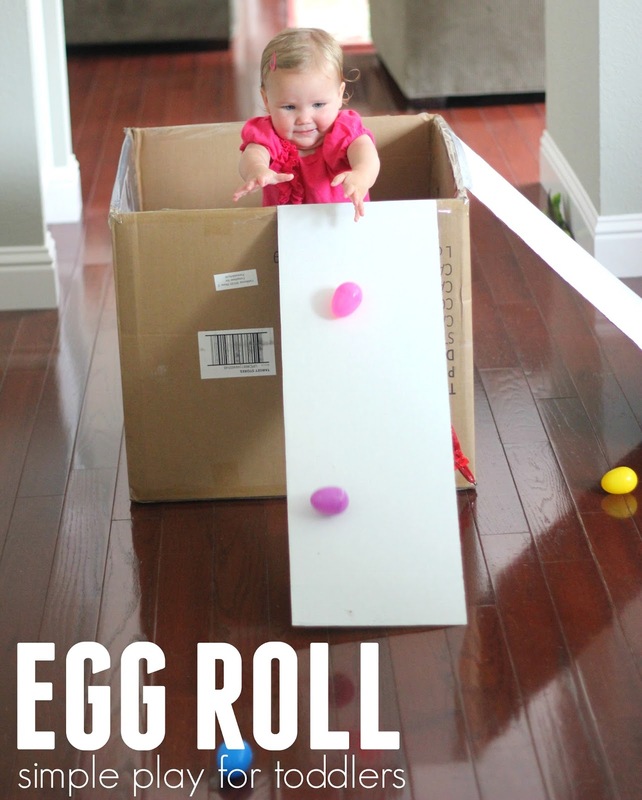 It is almost Easter and I always love putting together simple and easy Easter activities for my kids this time of year! Bunnies, chicks, eggs, and baskets are always favorite themes! 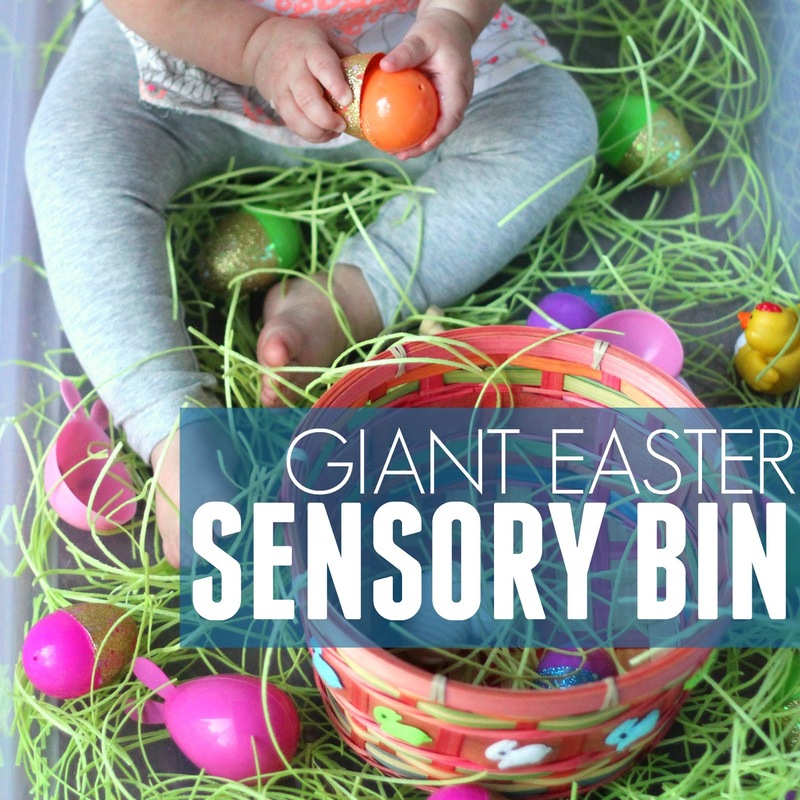 I am so excited to team up with Susie of Busy Toddler and share FIVE days of awesome toddler-friendly Easter activities with you this week! 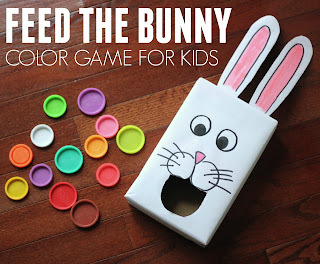 If you've been following along over on Instagram (I'm @kristinatoddlerapproved), then you heard me announce our Toddler Easter Activities series a few days ago. It is going to be so fun! Starting on Monday (tomorrow!) Susie and I will each be sharing one simple toddler-friendly Easter activity each day all week long! That means you'll get TWO activities each day and TEN activities total. 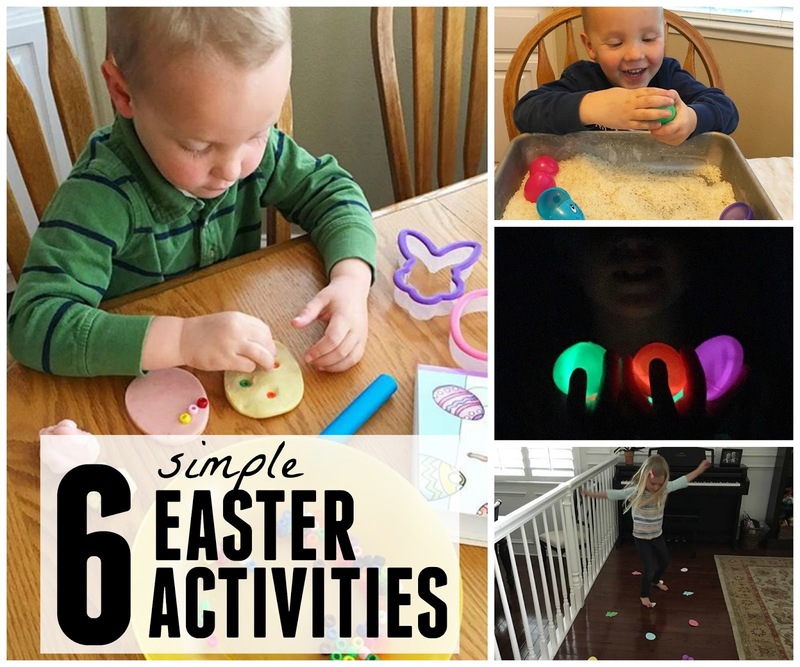 I will link each activity below as they are posted so that you don't miss them! I had SO MUCH fun sharing our 10 days of simple toddler activities challenge with you and I am excited to keep the momentum going! 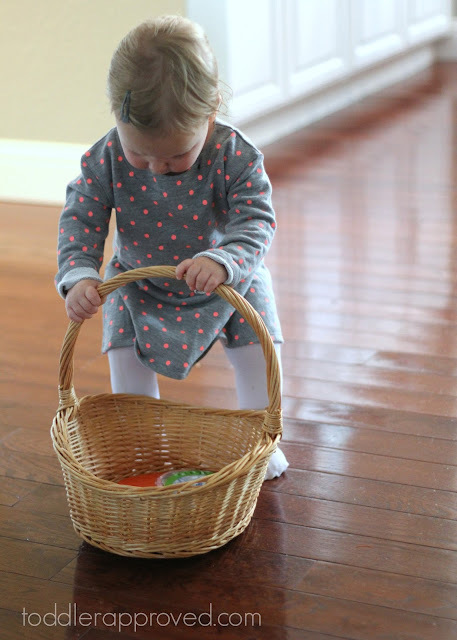 As a busy mom of four I often spend a lot of time cleaning, running errands, and going to meetings. I love stealing 20 minutes (or even less) to focus on doing an easy activity with my toddler. Usually my preschooler joins in and sometimes even my 6 and 9 year-old participate! 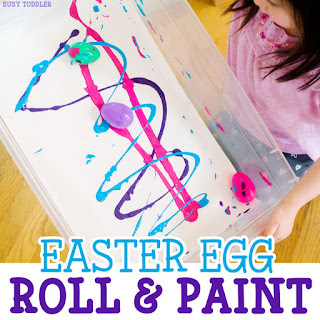 Creativity is contagious, and when I set the example in our home, my bigger kids use their imaginations more and I am always amazed at what they come up with! 1. 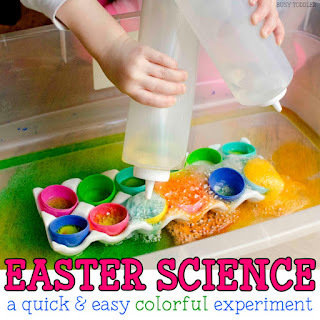 Bookmark or pin this page so that you can come back here and find each activity each day. My goal is to post on the blog early in the day each day... but life happens, so we'll see. 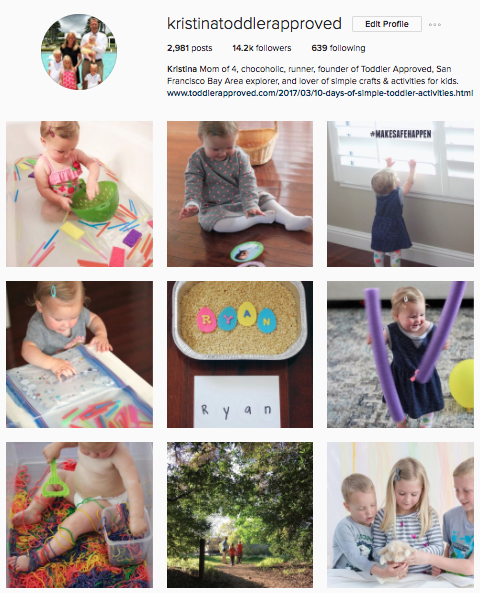 I'll also be sharing each of my 5 activities on Instagram each day (I'm @kristinatoddlerapproved) and Susie will share over on the Busy Toddler Instagram (@busytoddler). If you don't know Susie, go scroll through her blog and IG feed and then follow her. 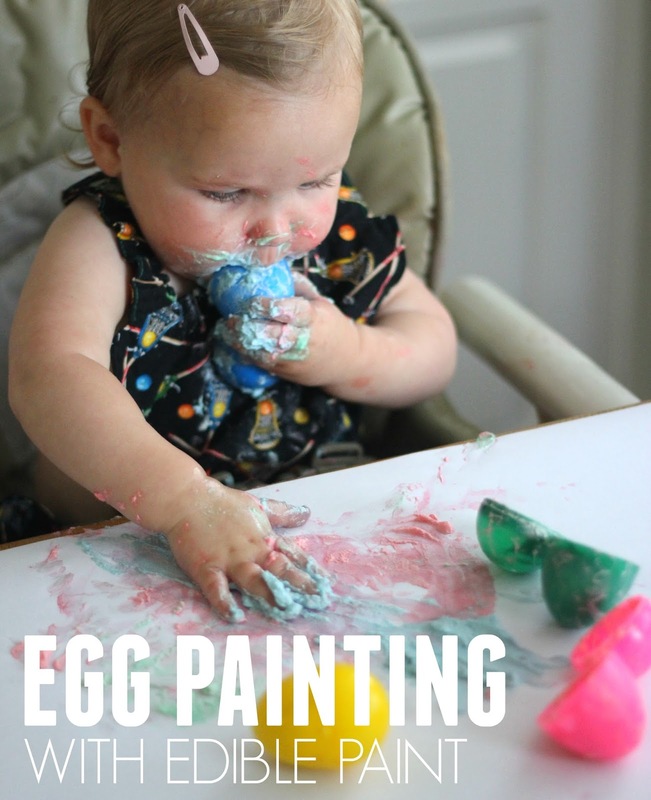 She is such a super creative and fun mama of three! 2. 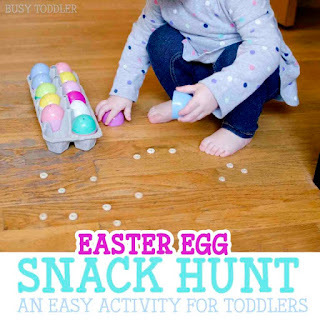 Follow Toddler Approved and Busy Toddler on Instagram to see additional pictures/activities. I love to post video footage and extra photos of activities in Instagram stories, so come check them out. 3. 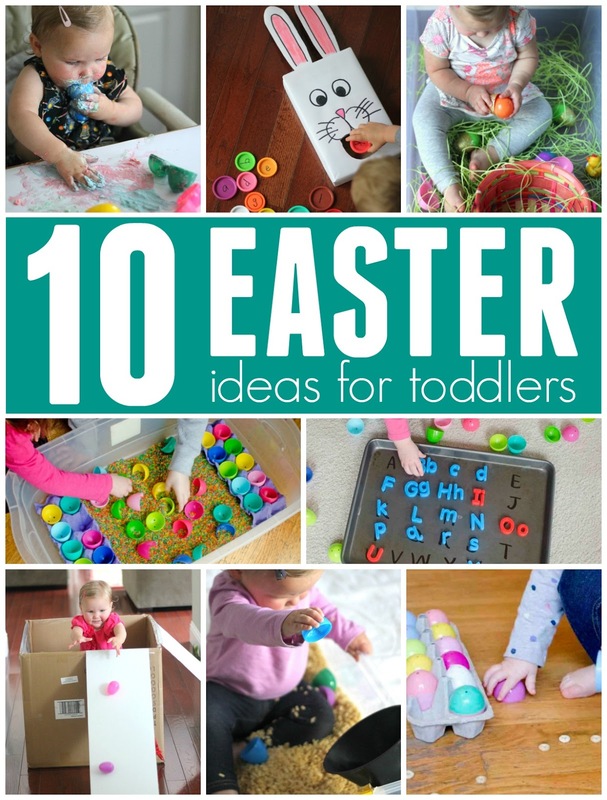 Comment and tell us you are going to join us and try 1,2,3 or 10 of our simple toddler Easter activities this week! 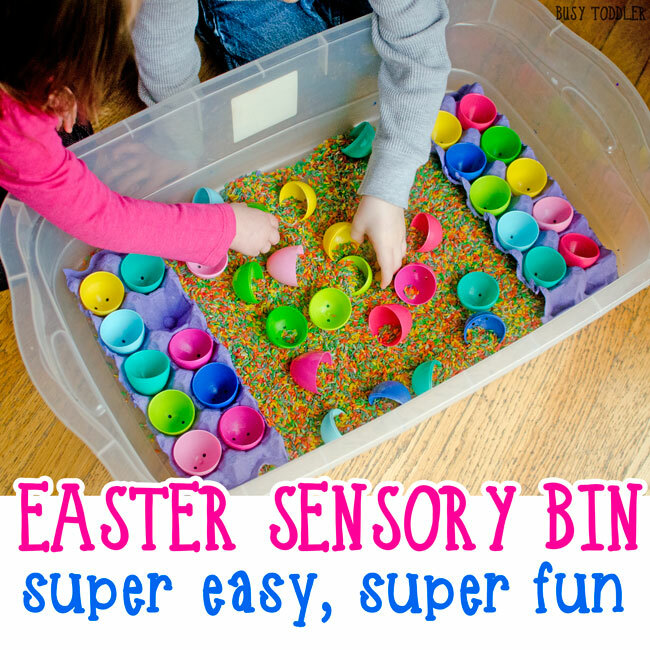 If you decide to try out one of the activities that we share, tag us, post on our Facebook walls, or use the hashtags #averytoddlereaster or #toddlereaster so that we can come and check out what you are up to! 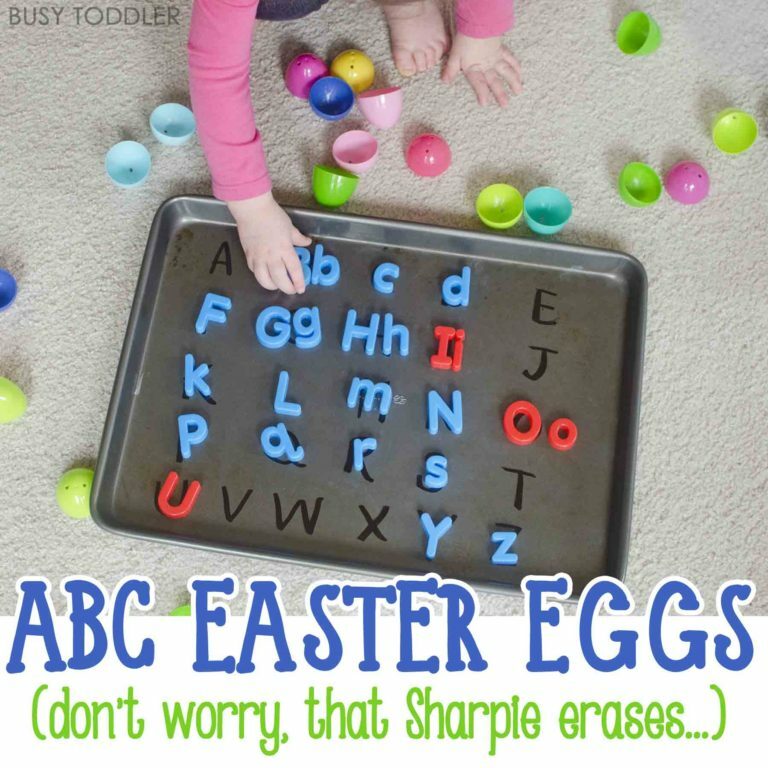 Come back to this list daily to see the new activities we add each morning! I will add them next to the correct day and hyperlink them so you can find them. 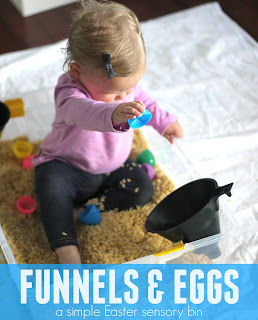 Toddler activities don't have to be complicated to be awesome. 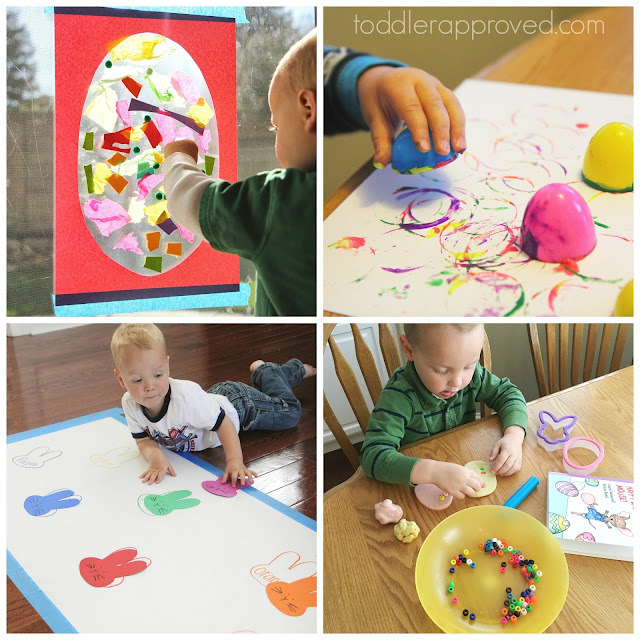 Here are a few of our favorite simple toddler Easter activities that we have done in the past! 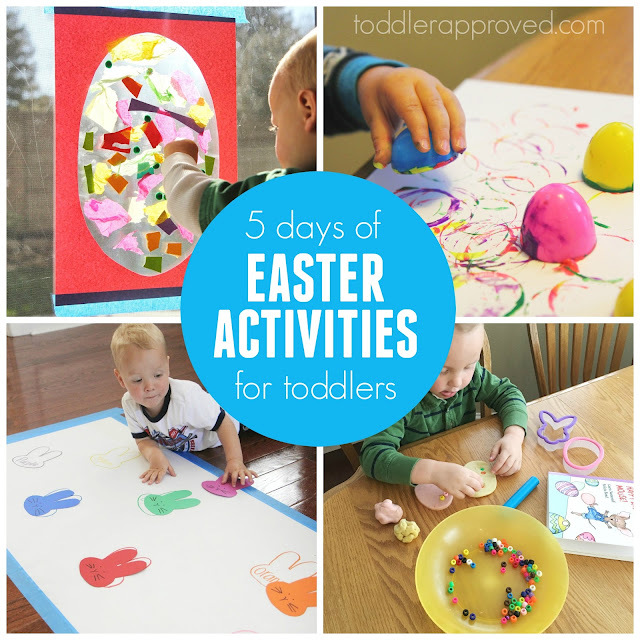 Here are 6 more fun Toddler Easter activities! DO YOU HAVE ANY FAVORITE EASTER ACTIVITIES YOU'VE TRIED?